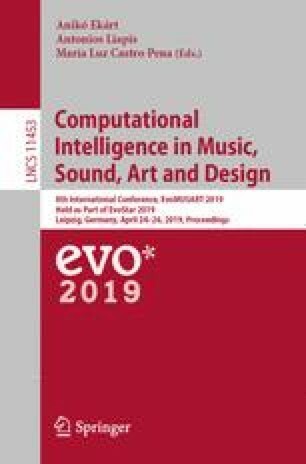 This paper presents a minimalist audiovisual display of an evolutionary game known as the Demographic Prisoner’s Dilemma, in which cooperation emerges as an evolutionary stable behaviour. Abiding by a dialogical approach foregrounding the dynamical negotiation of the author’s aesthetic aspirational levels, the cross-space mapping between the formal model and the audiovisual work is explored, and the system undergoes several variations and modifications. Questions regarding computational measures of beauty are raised and discussed.